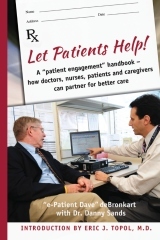 Dave deBronkart, @ePatientDave, and his doctor, Danny Sands, have published a new book, Let Patients Help. Well, almost. It is still in its pre-broad distribution mode. Version 0.91, Dave calls it. You can (should) order it directly from Createspace, here. It is very good. Several weeks ago, I suggested that the MA Division of Insurance was not doing its job properly in implementing a provision of recent state legislation. There is a provision of the law ("Chapter 176T, Risk-bearing Provider Organizations") that was written to provide some assurance that provider organizations--physician organizations, physician-hospital organizations, independent practice associations, provider networks, accountable care organizations and any other organization that contracts with carriers for payment for health care services--would be financially capable of bearing the risk of alternative payment contracts. A recent post on Disease Management Care Blog, reprinted later on The Doctor Weighs In, shows that this is not an academic concern. "Wellspan" is a highly regarded and well-run hospital system that is local to the DMCB. This recent news report is telling because Wellspan's success and challenges probably apply to other emerging integrated institutions that have an appetite for risk contracting. A few Massachusetts hospitals and physicians have long experience with risk. Others are new to the concept and, according to the word on the street, do not have in place the kind of care management regime and data sophistication needed to avoid a deficit in these plans. That is especially the case because Blue Cross padded first-year global payment budgets to entice hospitals and doctors to sign on. Now that those plans are starting to bite, look for losses to emerge. I'd like to suggest that a factor in the differential premium growth rates relates to whether companies have affirmatively counteracted the strategic plans of health insurers to migrate employees to plans that correspond to greater use of health care services. Several commenters questioned this conclusion, noting that many employers self-insure and so would not be affected by the strategic aims of insurers. Well, the answer to this is that self-insured employers tend to listen to the advice given by the insurance company that administers their plan. So, let's spend a little time talking about self-insured companies. First, it will certainly be to the advantage of employers, once Obamacare kicks in, to self-insure. Estimates call for dramatic increases in insurance premiums with the cost add-ons that result from the Affordable Care Act. Today, there is about an 8 to 12% difference in the cost of carrier-provided insurance and self-insurance, and this difference will be amplified in coming years. In the past, some employers have shied away from self-insurance because of the possible volatility in claims year to year. Those with self-insurance often buy aggregate coverage, which creates a band around that volatility, but there was always the potential (even with that insurance) that the costs paid would have exceeded the higher, but more stable, carrier insurance. With the increases from Obamacare, the chance of even volatile costs exceeding the carrier insurance costs will be dramatically diminished. But that still leaves the question of plan design. Our goal as an employer should be to encourage younger, low-cost staff to join our plan and to encourage older, high-cost staff to join their spouse's plan at another employer or to go to an exchange. (Age is the primary determinant of utilization.) We want to minimize the number of claims we have to pay and also the size of those claims. 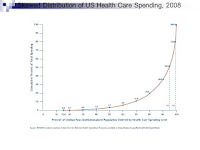 This will put us on the path to be in the left-hand side of the bimodal distribution, facing increases in healthcare costs well below the regional trend. But many self-insured employers undercut this objective. 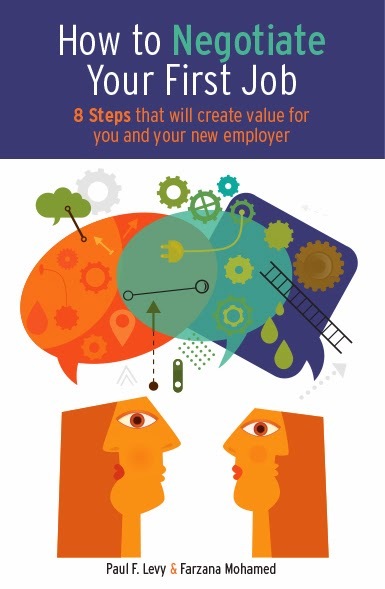 For reasons of perceived employee equity and in the name of "consumer-driven health care," they offer two or three options to their staff. The one that is often offered at a discount is a high deductible plan with a moderate annual out-of-pocket maximum--let's say a $500 deductible with a $2000 OOP maximum. This plan might have a predicted actuarial value--the percentage of total average costs for covered benefits that the plan will cover--of say, 80%, leaving the consumer responsible for 20% of the costs. This plan is not attractive to healthier workers who are unlikely to be hospitalized but are likely to incur the deductible in office visits. It is extremely attractive, though, to staff members who expect to have lots of medical bills, and especially those who expect hospitalization. The employer has given a discount to precisely the wrong people, the ones who will end up driving up the firm's health care cost trend because of their higher utilization of services. Instead, imagine a plan with zero deductibles, but with an OOP maximum of $5000. The actuarial value might be in the range of 95%, leaving the consumer responsible for only 5% of the costs. This is much more attractive to the younger, healthier group. It is clearly unattractive to the high-risk segment of staff, and they will seek alternatives. It does not take many of them to move out of the company's plan to make a huge difference in costs and the cost trend. Indeed, even if the actuaries predicted that the zero-deductible plan would be more expensive to the company than the first design described above, the ultimate expense would actually be lower because of this out-migration. If you consider that the younger workers also tend to be the lower paid workers, you see also that the typical discounted program is playing reverse Robin Hood, assigning higher costs to the lower income staff and lower costs to the higher income staff. In terms of equity, its application is actually backward--all in the name of consumer-driven health care. You may ask, where will they go? Well, here is an unpleasant aspect, but one that is inherent in the employer-based insurance system we have in the US. As a colleague has said to me, "If I invite bad risk, it comes from somewhere. If I encourage it to leave, it goes somewhere. This is a zero sum game." Specifically, a working couple will sit around the kitchen table comparing the health plans offered by their respective two employers. 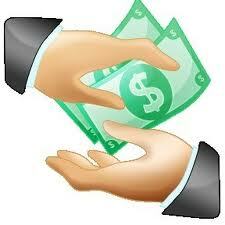 They will transfer coverage to whichever spouse's firm offers the larger subsidy for their high-risk plan. That company will find itself shifted to a higher cost curve and will find itself moving up that cost curve at a rate greater than the average trend. The company that has systematically acted to reduce untoward subsidies will find itself shifted to a lower cost curve and will find itself moving more gradually up that cost curve. Simple mathematics drives this result. I published an article here on Tuesday suggesting that a report issued by the Commonwealth Fund was deeply flawed. As a courtesy, I tweeted the post on Twitter to the Fund for your reaction. Imagine my surprise when you quickly seemed to walk away from the report. Ok, maybe I got it wrong. It wasn't a Commonwealth Fund report after all. You just helped fund it. But, after all, it was consistent with policy prescriptions offered by the Fund. Here's my take--and I am open for correction: I know of no substantive analysis that shows that the clinical variation that exists in the United State and across the world, across all methods of payment and institutional delivery systems, is tied to the rate design used to pay for care. I know of no substantive analyses that shows that the use of methods included in the "reform" definition offered by the Commonwealth Fund have made a difference, over time, in the health care costs incurred in various regions. 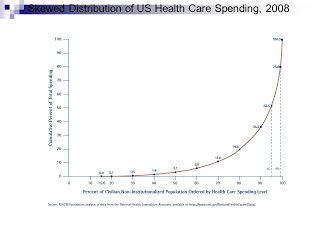 I do know that a substantial portion of society's health care costs are spent on an incredibly small percentage of the population. Rather than trying to redesign an entire system, why not focus on improving case management of that small percentage? Rather than trying to transform an entire payment regime into a risk-based system that has incredible complexity--in terms of allocating that risk across and within a provider network--why not simply pay cognitive specialists more, so they can spend more time with patients and keep the patients away from expensive tests and hospital admissions? There is no monopoly on insights in this field. I again invite correction. Will you respond? Will you stand by your work? Will you engage in debate? You are not alone in your views. But there are many who disagree, too. This is too important to let stand unanswered. The folks at MedStar Health have engaged in an extensive and intensive effort to be the safest, highest quality, and most transparent system in the country. You'll here more about that over the coming months and years. Like some other hospitals, MedStar has introduced a "good catch" award. More than just recognizing the call-outs of front line staff, this kind of program builds team spirit and a sense of community. I print below the announcement of the most recent award. It is a very nice description, but, as a friend relates, the human story behind this is that the patient, who thought she would have to live on medication, is "a terrific young woman just happy she could rock climb, be a mom and have her nails done without having to worry about the risks associated with a life on Coumadin." Throughout all our MedStar hospitals, we know our associates are constantly working to contain potential harm to our patients. It is this type of constant mindfulness that will move MedStar from Good to Great, as well as prove ourselves to be a highly reliable healthcare organization. In 2013, MedStar Health is looking for every opportunity to reward those who go above and beyond in their vigilance for patient well-being. As such, we have launched our system-wide Patient Safety Hero Recognition Program and want to hear about all the good things happening in our hospitals. Look for more information on the full program in next month’s Patient Safety & Quality Newsletter. Our first Good Catch Award goes to Donna Shifflett, a senior coder at MedStar Montgomery Hospital, who was recognized in December of last year for catching a coding discrepancy that had direct impact on a patient’s quality of life. When Donna noticed that a young woman had been diagnosed with a pulmonary embolism, but that the corresponding radiology report negated that diagnosis, she contacted the attending physician immediately alerting him of the contradicting information. The patient was subsequently called back in for evaluation, and when Donna’s suspicions were confirmed, the anti-coagulant medications that had been started were discontinued. Thanks to the mindfulness of Donna Shifflett, this young woman’s life was returned to normal. She is truly a leader and patient safety hero, and we look forward to hearing similar stories throughout MedStar. @medicaring Janice Lynch Schuster and the New York Times both invite you to participate in "Invitation to a Dialogue: Legalizing Aid in Dying." Here's the link. In this modern world, millions of us will live for two or three years with a condition that ultimately kills us; millions more will have our minds fail from dementia or stroke. In the course of such illnesses, people want to live as well as they can, despite increasing dependence on others for basic care, and the subsequent loss of dignity and independence. But we do not have services adequate to meet their needs, or their families’. Creating such a system requires much more than modest Medicare reforms; it requires fundamental changes in how medical treatment and supportive services collaborate. In general, where it is legal, physician-assisted dying is available only to people who are competent, who have physicians’ verification that they will die soon and who can wait for a period of time before receiving a lethal prescription. For those few, having a sense of control can ease fear and anxiety. But for those of us on our way to a less predictable end, urgent issues remain to be solved. The inadequate and disconnected services we have now will fail us. We need to find better ways to care for the dying and, ultimately, for ourselves. I have to hand it to the Commonwealth Fund. They are true believers. First assert this: "We know the current fee-for-service model of payment, in which providers are paid per service or test, incentivizes providers to deliver more, and more expensive, care." Then, create a scorecard on "payment reform" to assess the degree to which providers are paid in accordance with other methods that purportedly deliver better care. The 2013 Scorecard tells us just 11 percent of private health care payments to doctors and hospitals are tied to performance or designed to cut waste. By comparison, 89 percent of payments are made through payment methods that do not have a quality or other performance components and the traditional fee-for-service system. Among payments tied to value, just 60 percent involve providers taking on a share of the risk, meaning they stand to lose money if they do not meet certain quality and efficiency measures or exceed a budget. The rest are in programs like pay-for-performance, which offer incentives for providing high-quality care, but do little to discourage overuse or inappropriate care. Catalyst for Payment Reform, an employer-founded nonprofit focused on creating greater value in health care, has a goal for the nation: at least 20 percent of health care payments will be value-oriented by the year 2020. The Scorecard results show we have serious work to do. Yes, we have serious work to do. On May 1, 2013 we will celebrate the 15th year the New Orleans' Musicians' Clinic. We shake our heads at the irony that according to Governor Bobby Jindal, it is "prudent" for Louisiana to return to the "good old days" when the uninsured patients in Louisiana suffered the worst health care outcomes in the USA because their only health care option was to be treated in the Charity Hospital System ER. This urgent care, up until the US Army Corps of Engineer's post-Katrina floods closed Charity Hospital in September 2005, was well-funded by federal dollars from the Disproportionate Share Hospital (DSH) program. The only difference is that uninsured patients in 2014 have even fewer options as Charity has been replaced with the much smaller University Hospital . . . and the public clinic at the former Lord & Taylor. The DSH dollars remain a federal "windfall" for Jindal as he "reforms" Louisiana's health care system by refusing the federal Medicaid money that would help us keep our patients alive. Concurrent with the abandoning of Louisiana's statewide safety net hospitals, Governor Jindal is refusing to accept the federal expansion of Medicaid (Obama care). He has also proposed to the state legislature to increase Louisiana's sales tax, inhibiting the working poor to afford medications and healthy food. Religious leaders from a cross-section of Christian faiths, including clergy from Baptist, Episcopal, Methodist and Unitarian churches from more than 70 Louisiana cities and towns signed the letter opposing the governor's tax plan. Their letter states that even before Jindal's proposed changes, Louisiana already has a regressive tax structure in which families earning less than $16,000 per year pay 10.6 percent of their income in state and local taxes, while families earning over $1 million per year pay 4.6 percent. Under the Affordable Care Act (ACA), all USA adults who earn 138 % or below of the federal poverty level would be eligible to enroll in Medicaid beginning in 2014, IF A STATE OPTS IN. The federal government initially pays 100 % for the first 3 years of ACA. The Medicaid expansion is projected to provide health care coverage for between 200,000-400,000 of Louisiana's uninsured poor. That would mean eligibility for all in Louisiana earning up to $1,285 a month, or, for a family of four, the earning level would be up to $2,651. In other words, the majority of the NOMC's patients would be covered for their basic health needs by ACA, with NOMC donations funding additional care. Massachusetts is home to health policy researchers of the highest order. Some have pointed out the flaws and the unintended consequences of applying financial penalties to the rate of readmissions experienced by hospitals. Beyond Massachusetts, other researchers have pointed out the statistical meaninglessness of such comparisons. Nonetheless, the state government stubbornly insists on applying such penalties based on the experience of Medicaid patients. Reducing readmissions at hospitals is a goal that every hospital in Massachusetts is committed to. Deliver high-quality care with strong follow-up care and other proven strategies that involve patients and their families and you may be able to prevent readmissions to a hospital. But hospitals can’t control all the factors that can influence a readmission. That is, a patient may be readmitted to a hospital within days of his discharge, but for an ailment entirely unrelated to the first admission. But these could be counted as a readmission under some measurement approaches. Some readmissions are scheduled readmissions, but they too could be counted. And some patients and their families even fail to follow discharge instructions for taking medicine or avoiding certain foods, and wind up back in the hospital. That’s counted as a readmission too and can result in payment penalties for the hospital. Couple these pitfalls with the fact that there is not a widely accepted tool for measuring readmissions, and you’re left with ever-increasing penalties against providers for readmissions that are hard to measure and over which they may have no control. The FY2012 MassHealth acute hospital RFA contract between hospitals and the state introduced a new preventable readmission penalty for certain hospitals that MassHealth has determined to have higher-than-expected preventable readmission rates. More than 20 hospitals were given a 2.20% reduction to their inpatient reimbursement rate in FY2012. In FY2013, the administration increased the penalty to 2.4%, 3.4%, and 4.4% for 31 hospitals. The penalty applies to all the hospital’s discharges, not just readmissions. A score of cases can produce millions of dollars in penalties to an already financially stressed hospital. The MassHealth penalties can apply against hospitals that are doing a lot to address readmissions and which deal with some of the most challenging patient populations. Add to these problems the fact that MassHealth uses data that is several years old and doesn’t reflect the current effectiveness of hospital efforts. MHA opposes the original penalty as well as the increases and argues that it is time to step back from the penalty mindset and look at a reasonable approach to readmissions. “The current penalty is seriously flawed from both a public policy and a methodological perspective. It unfairly punishes hospitals without advancing the objective of reducing preventable readmission,” said MHA’s Executive V.P. Tim Gens. “It may work as budget-cutting initiative for the state, but it does little to promote better patient care. It is clear that addressing readmission requires collaboration among the community of participants in healthcare delivery – not arbitrary and punitive measures against hospitals. In its budget letter to House Ways & Means Committee Chairman Brian Dempsey (D-Haverhill), MHA has requested that the House, in its FY14 budget proposal, direct MassHealth to use a more equitable system for assessing penalties related to preventable readmissions; an appropriate penalty would limit it to only those readmissions above the expected number calculated by MassHealth. Hospitals exceeding the expected number would face up to a 75% penalty for those readmissions that exceed the expected rate. MHA also believes consideration should be given to hospitals that have made important advances in reducing preventable readmissions by requiring EOHHS to limit penalties for those hospitals that have shown demonstrable progress. Dateline Macon, Georgia. It's not the first time that this is happening in America, but the implications of it just hit me. If you care at all about cost control in the health care field, the consequences are frightening. Imagine you are a private practice anaesthesia group providing operating room, obstetrics, and ICU services to a major hospital. It is a busy practice, as there is limited competition in these service lines in the city. Business is helped by the presence of Robins Air Force base, for although there is a VA center in town, it is mainly a low-end clinic for the roughly 4000 military personnel and families. Beyond the military people, the base hosts 23,000 civilian employees who live with their families in the vicinity. Now, imagine that the senior partners in the doctors' group are approached by a hedge fund with an offer that sounds too good to be true. We'll buy you out and pay you a handsome signing bonus, and we'll manage your practice for you. We'll guarantee your employment and income for the next few years until you choose to retire (and maybe even give you a carried interest), but you're also expected to sign a non-compete agreement in case you leave sooner. Sure, we'll do a little bit for the junior doctors in the group, too, but nothing special. So the senior partners sell out, having feathered their own nest and having persuaded the junior partners that this is a good way to deal with the coming uncertainties of health care reform and the bother of running a practice. The hedge fund then holds a hammer over the head of the hospital. Among all services in a hospital, anaesthesia is the one with fewest substitutes. By law and hospital regulation and custom, other doctors are not permitted to perform many of the procedures done by anaesthesiologists. And this anaesthesia group has a monopoly position: There is no way the hospital can shop around and find another group of trained and ready anaesthesiologists to take their place. If you are the hospital, you are stuck paying the price and passing it along to those paying the health care bills. In a few years, the hedge fund flips the investment to another fund or private equity firm or perhaps sells it as part of an IPO that has rolled up several dozen or hundred of such practices around the country. The price reflects a substantial multiple over annual revenues, justified by the monopoly rents the fund has collected. The investors leave with millions of dollars in profits, and the follow-on investors seek to keep the monopoly rents in place to justify the multiple they have paid for the business. Is anyone in Macon aware of this or paying attention? How about in other medium sized cities with similar circumstances? If it is happening here, it is happening elsewhere. Too small--one by one--to attract the attention of the Federal Trade Commission...until it's too late. Where are the public policy advocates? Beating a dead robot. Thanks to @ashishkjha. 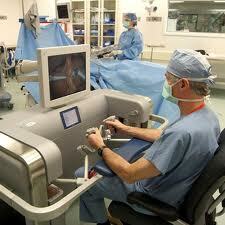 Underpowered study, no controls claims robotic surgery good 4 rectal cancer. Why publish this stuff? Methods and Procedures: From April 2008 to December 2010, 74 patients undergoing fully robotic resection for rectal cancer were prospectively included in the study. Urinary and sexual dysfunctions affecting quality of life were assessed with specific self-administered questionnaires in all patients undergoing robotic total mesorectal excision (RTME). Results were calculated with validated scoring systems and statistically analyzed. Results: The analyses of the questionnaires completed by the 74 patients who underwent RTME showed that sexual function and general sexual satisfaction decreased significantly 1 month after intervention. Subsequently, both parameters increased progressively, and 1 year after surgery, the values were comparable to those measured before surgery. Concerning urinary function, the grade of incontinence measured 1 year after the intervention was unchanged for both sexes. RTME allows for preservation of urinary and sexual functions. This is probably due to the superior movements of the wristed instruments that facilitate fine dissection, coupled with a stable and magnified view that helps in recognizing the inferior hypogastric plexus. I thought these journals required peer review. I guess not. This retrospective study was designed to compare open with robot-assisted total mesorectal excision for rectal adenocarcinoma. Total procedure time was longer in the robotic group (P = .003), but blood loss was less (P = .036). Lymph node yield, intraoperative and postoperative complications, and length of stay were all comparable. There were 3 positive circumferential margins in the open group vs none in the robotic group, but this did not reach statistical significance. Robotic total mesorectal excision is feasible and safe, and is comparable to open total mesorectal excision in terms of perioperative and pathological outcomes. The longer operative time associated with robotic total mesorectal excision could decrease as experience with this relatively new technique increases. Large randomized trials are necessary to validate the potential benefits of less blood loss and lower margin positivity rates observed in this study. Another photo of Luba and Boaz at their reunion--40 years later. Boaz Tamir finds his doctor! This is a story about the power of social media. Boaz Tamir owes his eyesight to Henry Kissinger. Wait, I am getting ahead of myself. Others linked to the story on Facebook and Google+, and several folks wrote blogs about it. A few weeks later, Boaz heard from the director general of the Poriya Hospital in Tiberias, where he had had the eye surgery. Folks at the hospital had seen the story, and they were about to search for his medical records. The records were found, even containing drawings of the eye injuries. Looking for the "white angel." After 40 years, Dr. Boaz Tamir is looking for the doctor who returned his vision after the Yom Kippur War. He has a Ph.D. in Economics and Administration from a prestigious university in the United States, five children and a successful international company for rehabilitation patients who were in crisis management. Yet Dr. Boaz Tamir, 60, will not feel happy until he meets the doctor who gave him back his sight 40 years ago. In the Yom Kippur War, the tall armored battalion deputy commander of Brigade 188 battles waged the containment of the southern Golan Heights. "In one of the battles I took shrapnel in the eye because my upper body was outside the tank," he recalls. "I asked my soldiers for water to wash the eyes because I thought it was sand, but after a few minutes I realized I had lost my sight." Poriya Hospital in Tiberias was closest, and he was rushed to the eye department. "I went blind and I remember turning to my doctor who spoke English--American and possibly South African. She told me she was a volunteer and told me she would see me. After three surgeries I could see. I alerted the driver of my jeep and escaped from the hospital to go straight back to fighting, without ever taking leave of the doctor who saved my eyes." Dr. Luba Vainshel, who still lives in the area, read this story and said to herself, "I was there. I did that. But I am not an American. I am a Russian." She contacted the publisher of the newspaper, who made the contact with Boaz. The two met yesterday, 40 years later. She recognized him right away and said, "You were so tall and thin then!" He replied, "Well, I am still tall!" Boaz had thought Luba was American because they spoke English to each other. Not so. She was a recent Russian immigrant, having arrived in Israel in 1972. Her Hebrew was not good, and his Russian was non-existent, so they talked to each other in English! So, how does Henry Kissinger fit it? In 1972, Russia's wheat crop failed, and the country sought assistance from the United States to avoid starvation. Kissinger agreed to help, but he extracted some conditions. One of those was that a number of refuseniks, Luba and her husband among them, would be permitted to leave the country and go to Israel. I know I speak for Boaz and Luba when I say thank you to the hundreds of people who circulated this story throughout the world. The fact that the two of them have lived about 40 miles apart is no reason to doubt the power of your involvement and interest. As you saw, they might has well have lived on the opposite sides of the world, given their probability of ever finding one another. Now the former 20-year-old tank commander and the former 25-year-old intern and their families can recreate a friendship that was born in war and healing. The two represent what was then the younger generation in Israel, a generation whose naive idealism kept a young country alive in the face of major errors by the senior leadership. Perhaps the current generation will do the same. The reception to my book Goal Play! has been extraordinary over the past year, and, in gratitude to readers of this blog, I'd like to offer a special deal to those who have not yet purchased it or who want to buy additional copies for friends or colleagues. When prompted, enter this discount code, 77ZNPPH5, and it will give you $6 off the retail price. Of course, it is still available on Amazon, either in paper or Kindle form, as well. And there is the new audiobook version, too. Look here for details about that and to hear a short sample. A partial knee replacement is surgery to replace either the inside (medial) or outside (lateral) parts of the knee. Partial knee replacement surgery removes damaged tissue and bone in the knee joint and replaces the area with a man-made implant. The procedure is known as unicompartmental knee arthroscopy (UKA). What happens when a company that sells robotically-assisted UKAs makes an assertion like this? Our comprehensive research program provides evidence of the clinical and functional value of our robotic arm system for placement of corresponding implants. Improved accuracy of implant placement achieved with robotic arm assisted UKA leads to superior implant survivorship and patient satisfaction. Well, if there is someone knowledgeable watching, you get an article entitled "Cherry Picking Clinical Nuggets," disputing the finding and the evidence behind it. Implant survivorship at two-years is essentially, if not totally, meaningless. Moreover, the data is inconsistent with comparable data sets and reflects outcomes from the most experienced MAKOplasty surgeons in the field. Operative time was significantly longer in the robotic group. There were very few differences between groups in postoperative clinical measures. A greater number of robotic group patients reported continued medial-sided knee pain. What happens to a company's stock price when a report like this comes out? Say that three times fast! I hope to learn a new word every day, and this one dropped into my lap during a meeting. [h]ave demonstrated important health consequences of stress, including slower wound healing and impaired vaccine responses; they have also shown that chronic stress substantially accelerates age-related changes in inflammation which is linked to some cancers, cardiovascular disease, type II diabetes, osteoporosis, arthritis, and frailty and function decline. In addition, their programmatic work has focused on how personal relationships influence immune and endocrine function, and health. Most interesting to me is the evidence they have found "that the effects of chronic stress can be seen both at the genetic and molecular level in chronic caregivers' bodies." I suppose this suggests that caregivers need to take really good care of themselves as well as their loved ones. Something to keep in mind. The masthead to this blog states that I am an advocate for patient-driven care. When I posted that, I heard from a number of people in the health care world that using such language would drive away medical professionals. "It's OK to talk about patient-centered care," they would say, "but you will alienate people if you demand patient-driven care." I thought it odd that in a society characterized as "consumer-driven," people would take affront at the concept of this group of people (i.e., patients) having less authority and impact than say, those buying cars, clothes, and food. I didn't mean that patients should or would be assumed to be world experts in their diseases or symptoms, but that health care providers should treat patients as though they were legitimate partners in the delivery of care. Further, that doctors and nurses in the health care system would first figure out what patients feel, what they are worried about, and what they want to know before offering their own--no matter how erudite--views of "what is good for the patient." But I have since learned that I was not going deep enough or broadly enough. I am so pleased to note a site created by Gilles Frydman entitled, Patient Driven, The Growing Impact of Networked Patients. If anyone in the world understands the power of patient networks, it is Gilles, who was the organizing force behind ACOR (Association of Cancer Online Resources). ACOR is a patient-driven set of online communities. As noted: "ACOR online communities are for parents, caregivers, family members, and friends to discuss clinical and nonclinical issues and advances pertaining to all forms of a specific disease. This includes patient and caregiver experiences, psychosocial issues, new research, clinical trials, long-term side effects and discussions of current treatment practices." For someone like me, witnessing daily how large numbers of well informed cancer patients communicate with others, including peers and health care professionals, in order to get the quality of care they deserve but rarely get, the notion of an engaged patient is clear and simple. It is, simply dramatic shift away from the paternalistic old model of medicine where “doctors know best”. An engaged patient is someone deeply involved in the scientific understanding of their disease, fully aware at all times of the entire spectrum of available therapeutic options. It requires a set of learning, cognitive and psycho-social tools that can only be acquired by conversing often with a real network of peers who are similarly involved in this complex endeavor. Because most of the communities where these activities take place are either hidden or hard to find (due to privacy concerns), the health care world is usually unaware of the depth of experience demonstrated daily by these groups. [A] world of truly engaged patients who collectively and constantly cull anything published about their disease, create centralized tissue banks to generate advances & scientific discoveries and do all the activities necessary to maintain a network of microexperts. I’m convinced that our next exponential leap in medical progress depends on us learning from networks of microexperts. Today when I see patients, for example, I’m often not sure what the right diagnosis or treatment is. I may look something up, ask a nearby colleague, or if I’m really unsure, I’ll refer the patient to someone more expert. I often don’t do this because both the patient and I want a decision sooner and because the ‘expert’ is also imperfect. Imagine if I summarized the question in a couple sentences +/- a photo, and it was immediately posed to 100 potential experts in my network, who are chosen on a per-question basis using a relatively simple algorithm that matches my question to their experience. Building this system would require significant innovation in how groups of doctors collaborate, but from a technology perspective we could easily build this system today. It’s clear to me that in ten years, I’ll look back on how I’m practicing medicine today, and be embarrassed at how often I settle for poorly informed decisions. Gilles' and Roni's formulation takes my casual use of the term "patient-driven care" to new heights. I suggest we all keep an eye on these two colleagues and see how they transform this concept into something new and better. When a US hospital’s not-for-profit status is in the news, it’s usually not a good thing. It typically means someone (often a politician) is questioning whether the hospital’s federal tax exemption is deserved because of business practices, high executive pay, too little charity care, or a perceived lack of commitment to the local community. Sometimes the allegations and heightened scrutiny have been fair, sometimes not. Either way, America’s hospitals have a brand new challenge on their hands: to take newly revised IRS rules governing a hospital’s not-for-profit designation and turn them into meaningful plans to improve, in partnership with other organizations, a community’s overall health. WIHI invites you to a timely discussion of Community Health Needs Assessments: New Rules and New Opportunities on Thursday, March 21. Three leading experts will help us understand the transformation of the decades-long “community benefit” law (largely focused on hospital support for indigent patients) into something more far reaching known as Community Health Needs Assessment, or CHNA. Section 9007 of the Affordable Care Act outlined the components of CHNA, chief among them a requirement for hospitals to conduct an evaluation every three years of the health status of the neighborhoods that surround their campuses, and then to use that information to develop strategies to reduce the community’s health risks. The new IRS rules also require greater transparency in the process and obligate hospitals to work in concert with community leaders and local public health experts. The trio of Sara Rosenbaum, Kevin Barnett, and Jean Nudelman gathering for the March 21 WIHI exemplifies the ways in which policy and public health expertise, access to community health data, and the experience of health care providers can combine in powerful new ways to meet the demands of CHNA — and, more importantly, to meet the demands of better health and better health care at reduced costs (yes, the good old Triple Aim). WIHI Host Madge Kaplan invites you to tune in for the March 21 show. And, if you have some questions you’d like to get into the queue for our guests ahead of time, we invite you to email those to us at info@ihi.org. Please put "Question for March 21 WIHI" in the subject line. Thanks! Please join us on the March 21 WIHI! Click here to enroll. The Quality and Patient Safety Division (QPSD) has issued a new advisory: “Advisory on Robot-Assisted Surgery.” A link to the advisory is below. Over the last two years, the QPSD has received an increasing number of Safety and Quality Review (SQR) reports of patient complications associated with robot-assisted surgery. This advisory is issued to draw providers’ attention to some of the potential issues involving robot-assisted surgery, to share some of the lessons learned by the reporting health care facilities, and to support health care facilities in the review and development of their systems for safe robotic-surgical practice. Robot-assisted surgery has increased dramatically since its introduction in the mid-2000s. A majority of radical prostatectomies and increasing percentages of other urologic, gynecologic and colorectal surgeries are now performed using robots. While there are numerous single institution, procedure-specific studies describing robotic-surgical outcomes, large-scale, high quality, prospective studies of the risks and benefits of robotic surgery as compared to laparoscopic and open procedures have not been carried out. Robot-assisted surgeries have a number of technical advantages, such as an improved field of view and articulated instruments, but like any surgical procedure, they carry risks of complications and poor outcomes. Clinical studies and reviews of training guidelines discuss variable learning curves for surgeons, the need for significant mentoring, and greater risks associated with pursuing lengthier and more complex cases. A few months ago, I mentioned that United Medical Center in Washington, DC. might be suffering from unintended consequences of Obamacare, a change in funding to safety net hospitals that removes some of their ability to carry out important functions. I suggested, "Maybe UMC--an important component of the District of Columbia health system--can help send that message to Congress over the coming months. On this matter, the Board and the medical staff should be united, along with other safety net hospitals throughout the country." In the fractious universe of D.C. politics, there is one thing upon which virtually every elected city official agrees: There must be a full-service hospital east of the Anacostia River. But nearly three years after the city seized control of United Medical Center, the fate of the 354-bed facility on Southern Avenue SE remains uncertain. The ongoing saga of the hospital, formerly known as Greater Southeast Community Hospital, underscores the disconnect between city officials’ commitments to keeping the facility open and their general reticence to either commit to subsidizing its operations or significantly change how it operates. The prospect that city taxpayers will have to pony up yearly to keep the hospital afloat has been the subject of repeated warnings from District Chief Financial Officer Natwar M. Gandhi, who has said that having a public hospital on the city’s books puts its bond ratings at risk. The warnings have struck a chord with several D.C. Council members, who raised concerns during a vote last month on a hospital consulting contract. It is clear to me that this is not a problem that is solvable within the city's budget, and it really should not be. In most states, safety net hospitals rely on broader jurisdictions with greater financial resources, i.e., states and the federal government. Here, the "state" is the District of Columbia, which is a creature of the federal government. It is severly limited in what it can do to raise funds, and it also is limited in professional capability to manage a medical property like this. Congress, though, has impunity as long as it believes that the problems of UMC will be subject to debate and squabbling within the District's government. The DC government and local consituencies will only solve UMC's problems when the federal government makes the proper commitment to providing the poor people in this part of the District with "a full-service hospital east of the Anacostia River." "We see bandu as a living, learning buddy for your daily life"
In patient-centric health care, a product is expected to focus on the patient's interaction with it while it also delivers clinical value to the doctor. In order to fulfill its goals, the product must balance the appeal of a consumer product with the quality of a medical device. The challenge: a consumer product undergoes many iterations to deliver better user experience and aesthetics at an affordable cost while a medical device complies with strict regulatory requirements, undergoes fewer iterations, and costs more. This presentation describes a balanced approach developed during the design of bandu - a wearable biosensor and app for the mind. 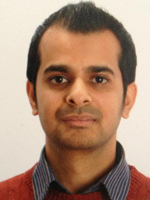 Anand Yadav is a product lead at Neumitra, which he co-founded in 2010. He previously worked at The Eli and Edythe L. Broad Institute of Harvard and MIT, where he led an engineering group that developed solutions for genome sequencing process improvement . Yadav was also member of a team that developed a large-scale automated system for the Human Genome Project at the Whitehead Institute. He holds an MS in Mechanical Engineering from Tufts University and a BE in Mechanical Engineering from Punjab Engineering College, India and an MS in engineering and management, earned as an SDM fellow at MIT. Where things stand . . . and what comes next. A decade ago, our early enthusiasm for patient safety was accompanied by a hope, and some magical thinking, that finding solutions to medical errors would be relatively straightforward. It was believed that by simply adopting some techniques drawn from aviation and other “safe industries,” building strong information technology systems, and improving safety culture, patients would immediately be safer in hospitals and clinics everywhere. We now appreciate the naivety of this point of view. Making patients safe requires ongoing efforts to improve practices, training, information technology, and culture. It requires that senior leaders supply resources and leadership while simultaneously promoting engagement and innovation by frontline clinicians. It will depend on a strong policy environment that creates appropriate incentives for safety while avoiding an overly rigid, prescriptive atmosphere that could sap providers' enthusiasm and creativity. Well put, I think. I'd like to go a step further, though, with an addendum that reflects my experience as CEO of a hospital. An effective patient safety program requires that a hospital become a learning organization. As the folks at Cincinnati Children's Hospital put it years ago, "We want to be the best at getting better." A learning organization is one in which all members of the staff, not just frontline clinicians, participate in process improvement. In our hospital, we often found that it was the housekeepers, food service workers, security guards, supply folks, and transporters who noticed and called out important problems in the delivery of care. Bob and Peter and Paul didn't mention these non-clinicians in their summary. I don't think they would disagree with me, though, and I respectfully offer this addendum with the hope that all of us remember to explicitly include them as we think about what should come next. Marilyn Kass recently posted this note about her 13-year-old daughter in a column entitled "Open letter to my daughter's teachers." As "Momo," Marilyn has inspired many of us over the past several years. If you get a chance, read through previous posts on her blog. I wanted to inform you of recent developments at home that have the potential to impact Frannie at school. Though solid, centered and never more enthusiastic about learning, challenging health issues at home may impact Frannie in school and elsewhere . The breast cancer that progressed to my bones a few years ago has metastasized to my brain. Believe it or not, I am optimistic, even good humored. However, the world, and school is filled with misinformation, touchy subjects and a couple of jerks. A class about mitosis dove deep into the obstacles associated with curing cancer, vs dying of cancer, vs battling a variety of treatments; from chemotherapy to radiation. Frannie came home with a slew of great questions, and while some kids hear “cancer” and think pink ribbon covered bicycle races, or imminent death, Frannie knows that cancer is what we live with. Going forward, I ask that you be aware of the complex world she navigates. She is interested, inquisitive and the best thing you can do for her now is to engage her, listen to her and keep filling her brain with the learning she loves. Thanks to her I know about tectonic plates, ancient poems, nutrition and the power of point of view and that’s just from this week. You probably detected that Frannie is a very private person, so while she knows I am sharing this information about our family with each of you, she would not be comfortable with your sharing it with the entire class. Unless, you specifically discussed it with her in advance and agreed on the terms and details. You can always call me to discuss any questions or concerns you may have. No surprise, there is no one, and nothing I am more interested in discussing than my daughter and her well being. Donut heads invade Rhode island! Mind the Gap -- This time, the real one! Merger fever today. Fever tomorrow. But who falls into the gap? Well Mercy me! It's a podcast. Was that a Nikon or a Canon?